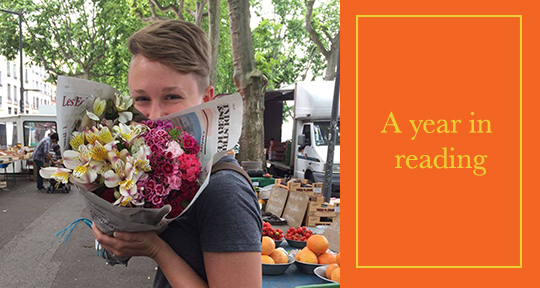 To mark the anniversary of the Asymptote Book Club, we’re delighted to be publishing our first author-translator interview. 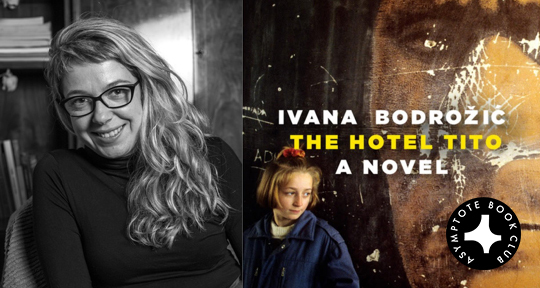 Ivana Bodrožić, author of The Hotel Tito, speaks to her English translator, Ellen Elias-Bursać, about the events that led to her debut novel, the book’s initial reception in Croatia and Serbia, and how she went from being “everybody’s sweetheart” to being attacked by nationalist critics. 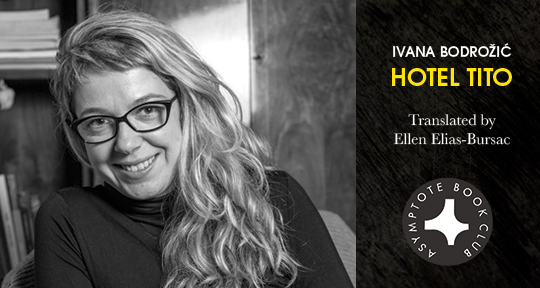 In a conversation that gets to the heart of the novel, Ivana Bodrožić reveals which scene was most difficult to convey on the page, and explains why she needed a police guard for her book-signing in Belgrade. Ellen Elias-Bursać (EEB): What started you writing The Hotel Tito? Ivana Bodrožić (IB): Ever since I first learned how to write I have been writing down anything that seemed important, the things that formed me and my world; in my pre-teen years it was wise sayings, when the war was raging around us I copied out the lyrics of Nirvana and R.E.M songs, I kept a diary. Then I tried my hand at writing my own poetry: when I was sixteen I’d shut myself in my room and by the light of a candle, with a little bottle of vodka, I’d imagine I was Yesenin—until my mother knocked at the door. Writing was always something important for me and a little exalted; I see this now as an attempt at interrogating the world around me. When I came to understand, as an adult, that my childhood had been out of the ordinary, I began to think that in time I’d forget, as people do, all that had made my life what it was, what made my world and me as I am today. That is when I began jotting down fragments of memories and after I’d written out some forty pages I realized I was writing prose that said something, to me. That was the point when I realized I needed a protagonist through whose eyes and heart I’d narrate this piece of my life and the life of my whole generation who grew up during the war. My love of reading and writing and my specific life experience quickly gave The Hotel Tito its shape.